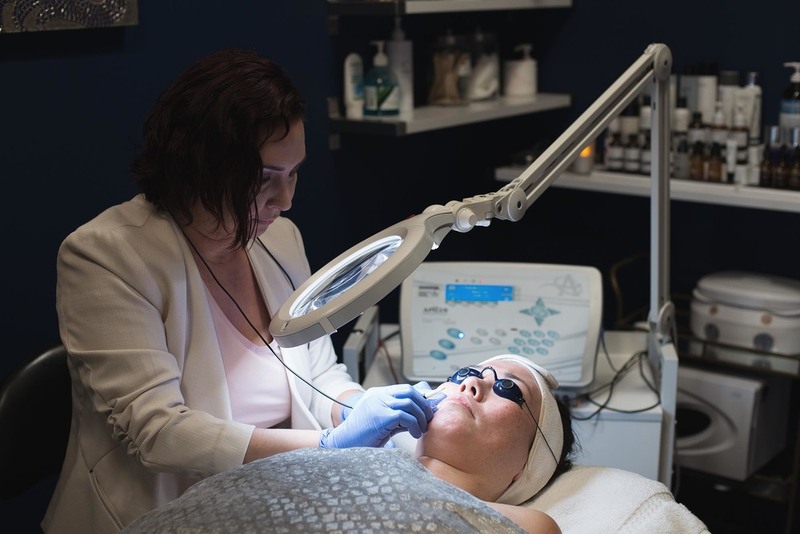 Electrolysis - I Glow Skin- By Shannon H.
I am a licensed and insured Electrologist committed to removing your unwanted hair PERMANENTLY. I offer every method of electrolysis, but primarily focus on the thermolysis modality as it is the fastest and least painful method used. I use the Aplius Platinum Pure epilator which is the newest and fastest epilator on the market. None other rivals the Apilus Platinum Pure. Electrolysis is suitable for ANY hair type, color, and ethnicity.I encourage you to book a consultation and live a life hair free and full of confidence. *Call today for your FREE consultation. Purchase a package five sessions and receive one free. Purchase a package of ten sessions and receive two free sessions. Packages cannot be combined with any other discounts or promotions. Although electrolysis has been practiced for over 125 years, it is still a mystery for many people. Simply put, electrolysis is a hair-by-hair removal procedure. After performing a consultation, your Electrologist will cleanse the area to be treated, gently insert a minute disposable probe down into the hair follicle, and apply an ultra rapid current directly targeting the hair follicle from the inside, leading to a complete destruction of the cells responsible for the hair growth. Over time, the dermal papilla and all of the hair germ cells will be destroyed and that hair will never again grow back. Electrolysis remains the only FDA and AMA approved method for permanent hair removal and is safe and successful on all hair and skin types. Other hair removal methods currently offered on the market, such as laser, are applied on the skins surface and detect the hair thanks to its pigmentation (color). However, for effective hair reduction, these methods require a strong contrast between the skin color (light) and then hair color (dark). Electrolysis, on the other hand, directly targets the hair follicle from the inside leading to a complete destruction of the cells responsible for hair growth while protecting the skins surface. So whether your hair is white, blond, red, or brown, and whether you are fair or dark-skinned, electrolysis treatments with the Aplius Platinum 27 MHz ultrarapid epilator will always deliver permanent results.